One of America’s best-selling sedans is the Honda Civic, a compact sedan, coupe and hatchback with a starting MSRP of $18,840. 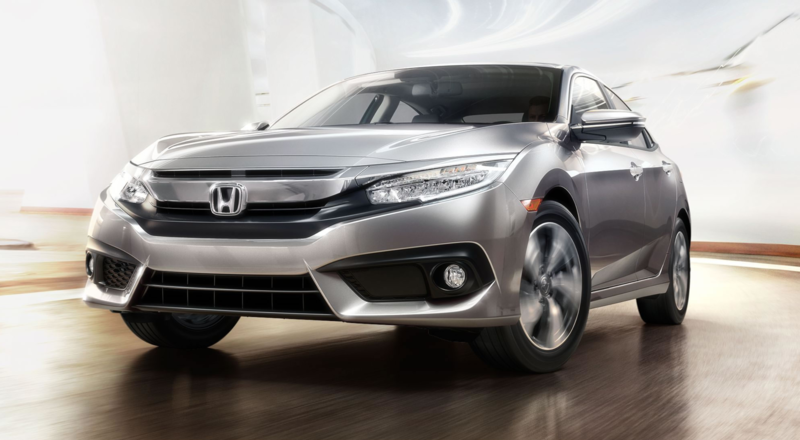 A wide variety of models and available equipment lend the Civic a broad appeal. For basic transportation that doesn’t feel like a penalty box, the entry-level LX model has great style and efficient packaging. Higher-end models like the Touring and Si offer more luxury or sportiness respectively. Kelley Blue Book (KBB) awarded the Honda Civic its Small Car Best Buy of 2018. Safety Score: All variants of the 2018 Honda Civic received good crash test ratings, however they were letdown by weak headlamps in an evaluation by the Insurance Institute for Highway Safety. Summary: A very solid compact offering, the 2018 Honda Civic offer something for nearly every type of car shopper. Be sure to try out the interior for size, as the seats have a short range of adjustment and may not be comfortable for all. For more space and comfort, move one size up to the midsize 2018 Honda Accord.